If you want to talk about movies around the church, you go find Adam. Since a young age, Adam has had an enjoyment of all things that involve visual design and art. He recently worked in an advertising agency where he used his talent to create commercials and ads (you know, those things you click through before you watch a YouTube video). He’s created short films, became a documentary filmmaker, and started a small production company to help people find media solutions. 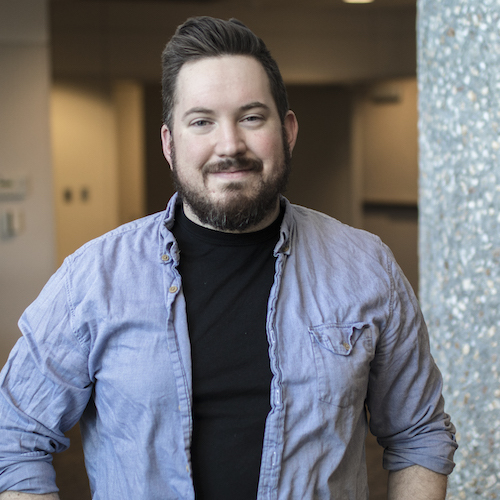 After hearing the call of God, he joined the team at NorthPark to pursue a higher calling and use his talents for the advancement of the Gospel. Any given weekend you’ll find Adam and his wife, Hannah, hiking through the wilderness with a camera in hand looking for an adventure with their 4 year old son, Sam, trekking at their side.